The VFD Trainer uses Allen Bradley VFD Powerflex as example. 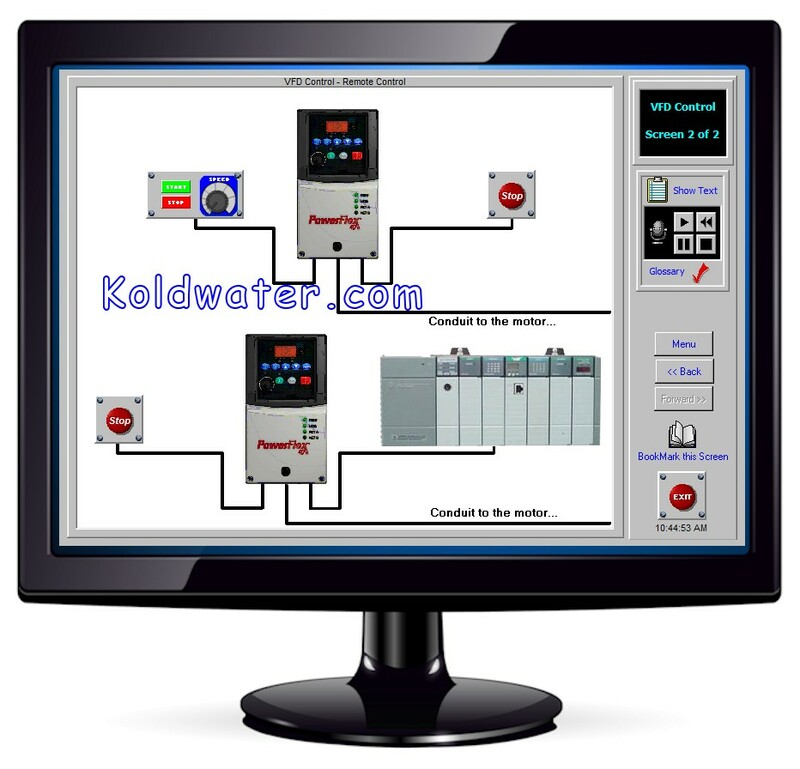 This VFD Basics training software use the Allen Bradley VFD Powerflex, the variable frequency drive basics taught can be applied to ABB VFD, Siemens VFD or any other brand's VFD working principle. 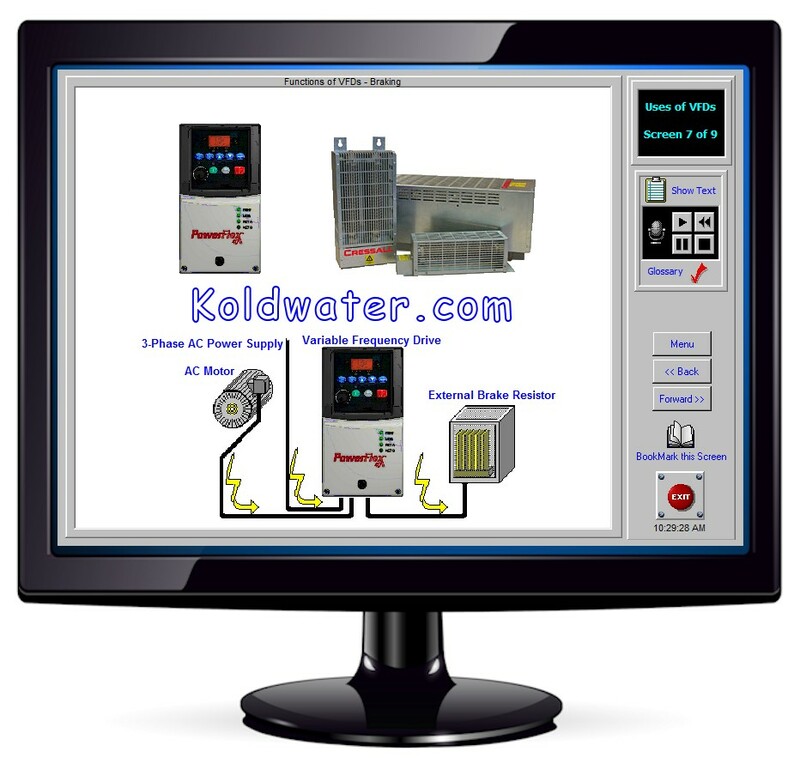 They all operate on the same basic variable frequency drive theory. This variable frequency drive basics training software is interactive and has real world simulations. 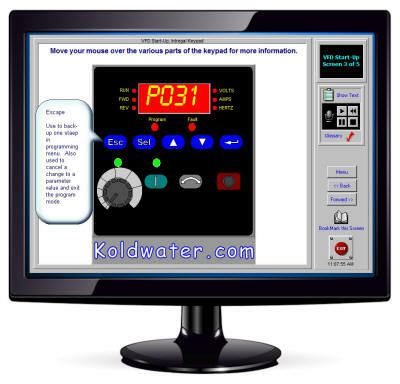 Simulates Allen Bradley VFD Powerflex HMI, requiring user to go through task, step by step. 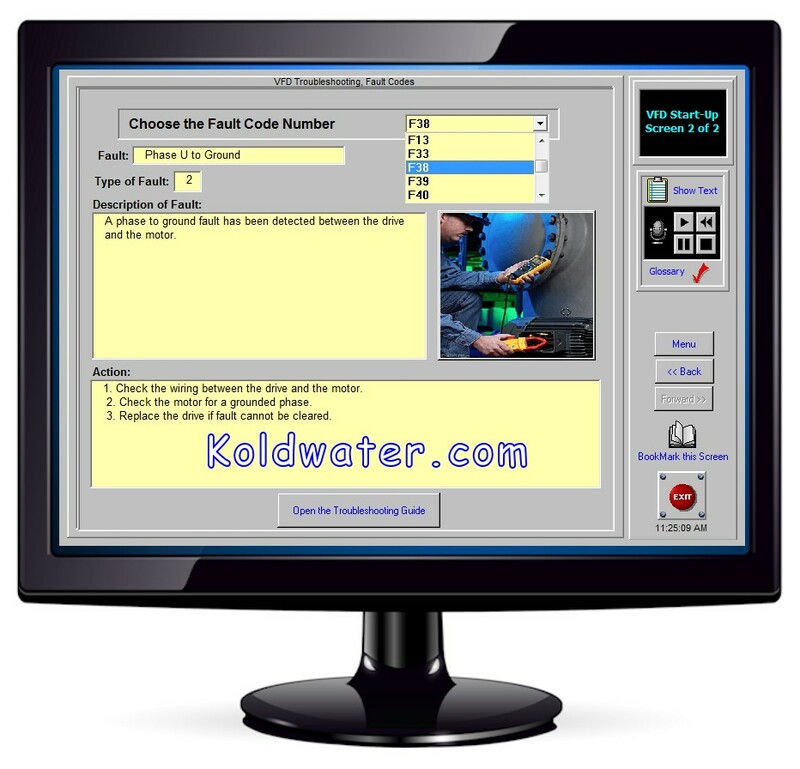 The VFD Basics Training (VFDTrainer) Software includes the following units of instruction. 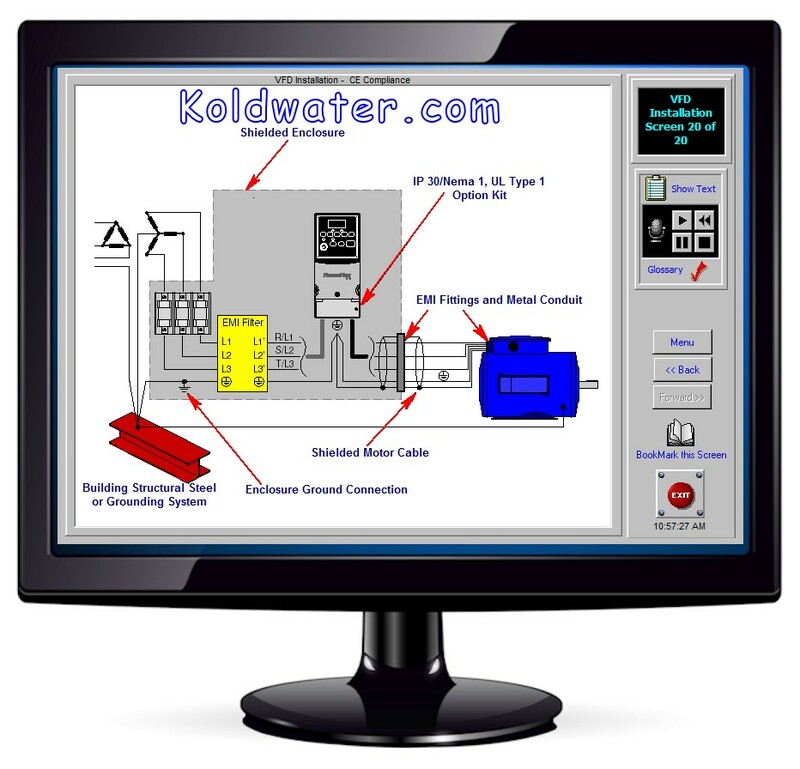 The first section of the VFD Basics training software starts with AC Motor Basics. 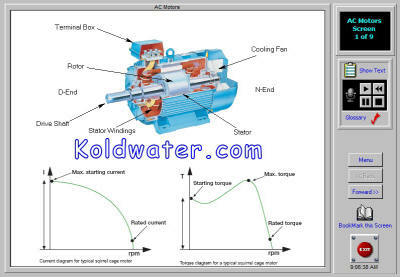 Here you will be introduced to various types of AC motors, the AC motor basics of voltage, speed, power factor, torque, motor starting methods, etc. 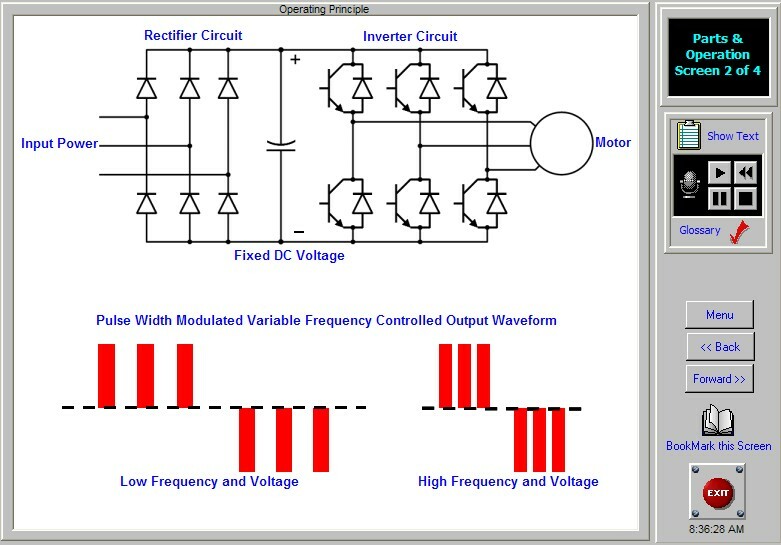 The Variable Frequency Drive Basics section of the course uses the variable frequency drive tutorial pictured here, to teach how VFD works. 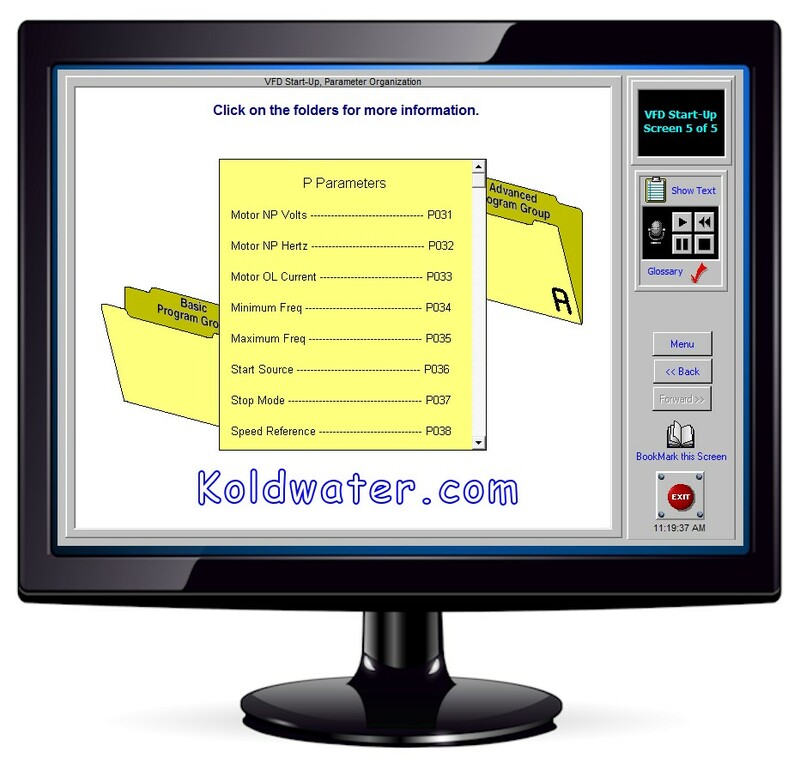 To help with the troubleshooting section and as a reference, the software has quick easy access button for Powerflex VFD manual. 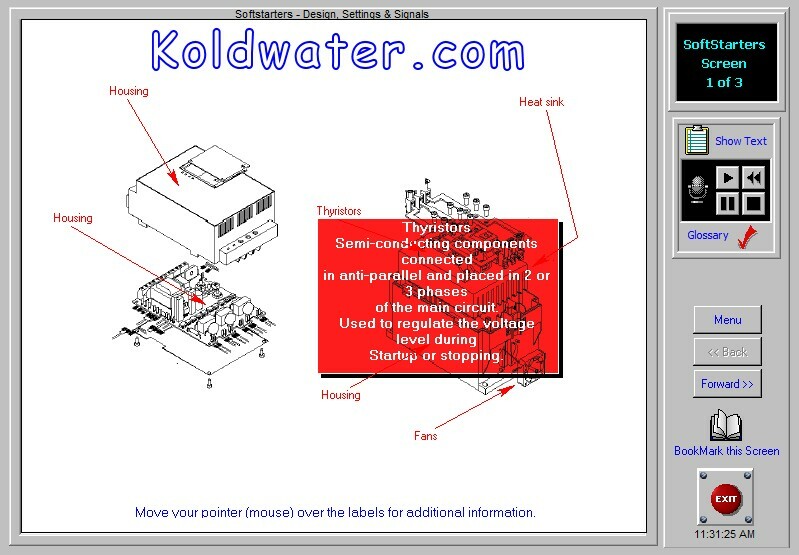 Plus additional screens in the VFD Working Principle and Operation section that organize operational parameters to help you with start ups. Better helps you make sense of all the VDF parameters. 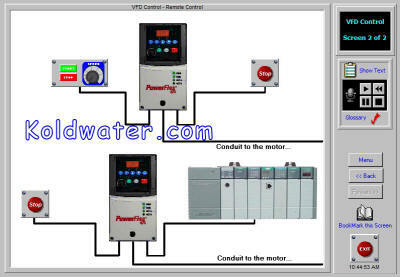 VFD working principles explained with interactive pictorials. Variable frequency drive theory taught with interactive and animated pictorials. 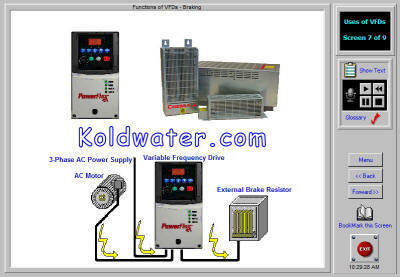 Like this screen shot from about VFD dynamic braking from the VFD Control section. 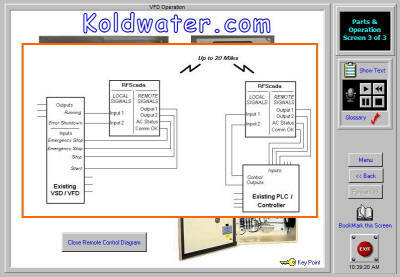 Variable frequency drive tutorial screen shot to the right show the VFD installation section even covers CE Compliance. 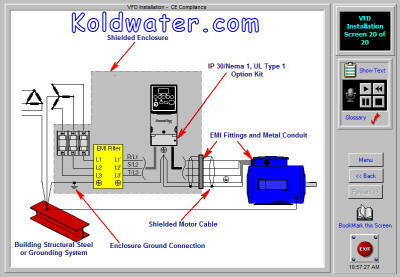 Hard wiring like VFD-cable termination covered also in the extensive VFD installation section. Motor Software Start is covered too. 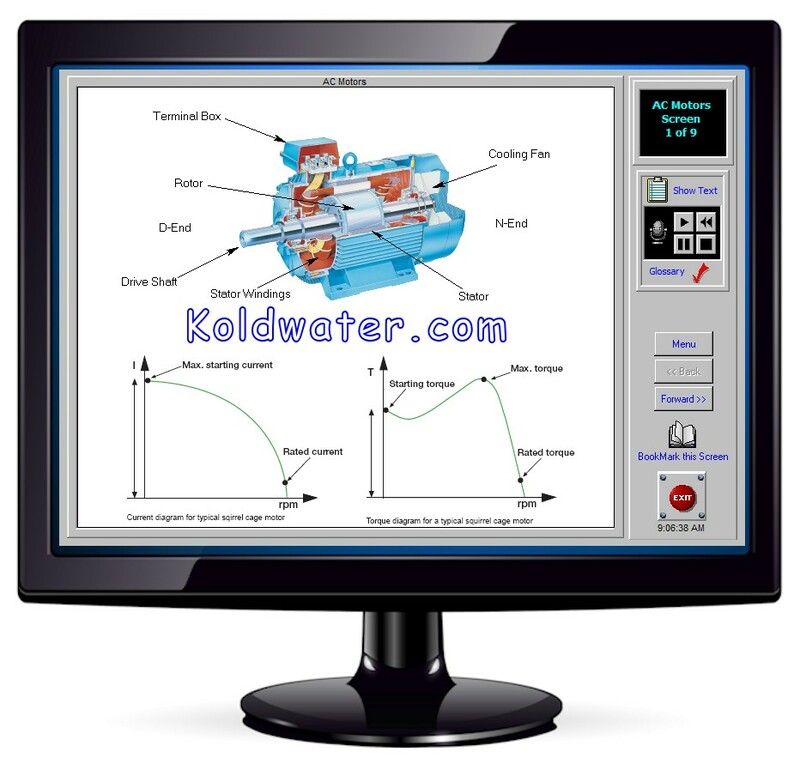 free online VFD training (ViewTrainer) demo. Google Chrome browser blocks Java, so use another browser for free online HMI training demo. Of course as with all the Koldwater electrical controls training, there is the troubleshooting section. 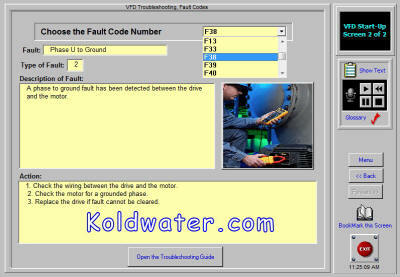 Troubleshooting VFD drives will offer explanation of all them pesky fault codes.